With the Consumer Electronics Show (CES) 2019 in Las Vegas this week, some strong numbers are being reported as to the future of technology and marketing in 2019. 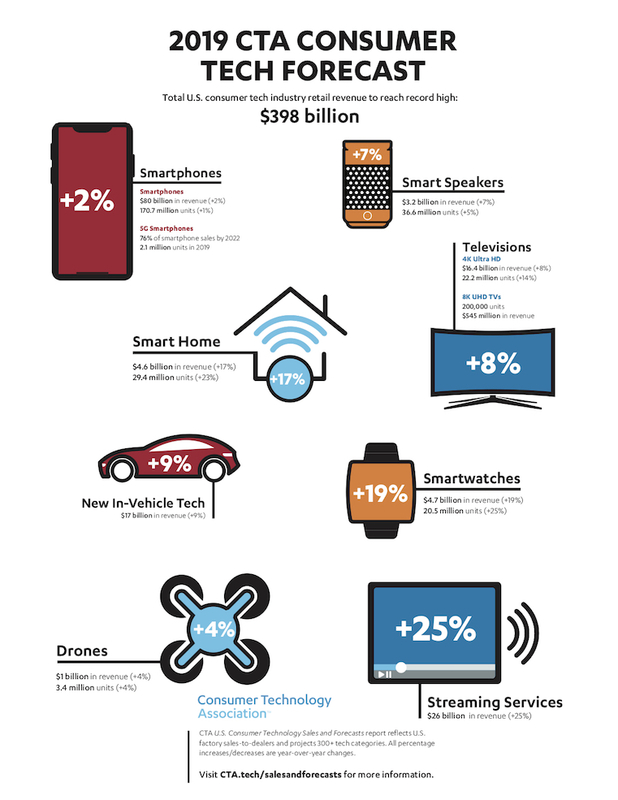 Take a look at the below for the Total U.S. consumer tech industry retail revenue predicted for 2019. The below infographic was originally posted here. Those are just the statements from the cover of the book. And Jon packs the book full of hundreds more that will be memorable and motivating. Grab a pad of sticky notes – you will need them! 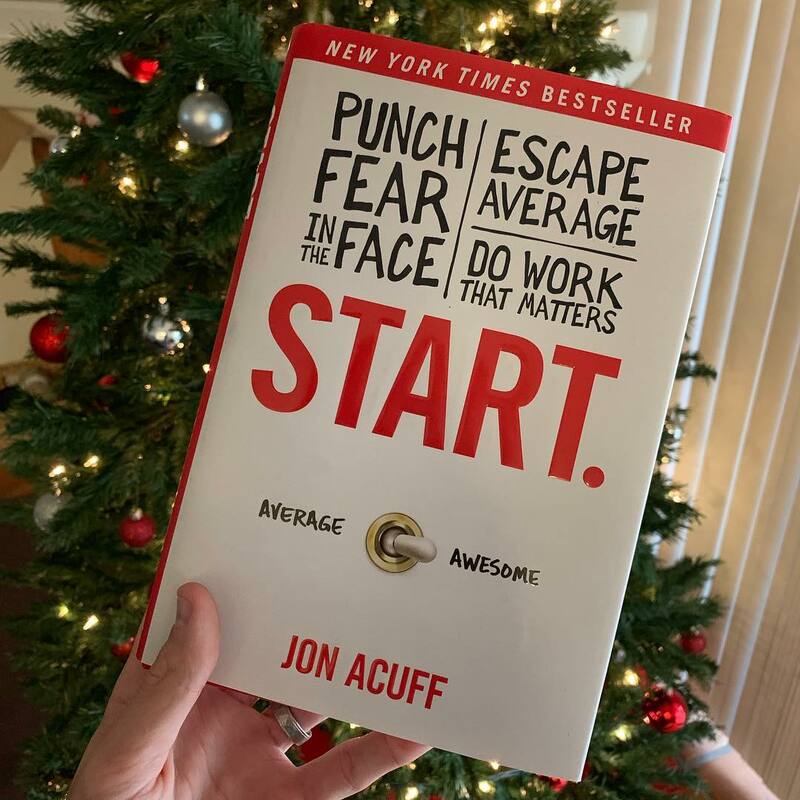 I picked up this copy of Start, by Jon Acuff, a few months ago, and just got around to reading it this past week. Wish I would have read it sooner. Jon has an amazing way of taking a potentially tough subject, and simplifying it into language that everyone can connect with and pull from. And better yet, be motivated by. 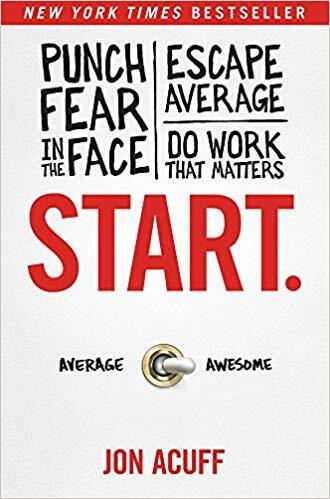 In this book, Jon breaks down the necessary steps everyone must take to move from Average to Awesome. A path that many aspire to, yet few do. Ever wonder why? Jon knows. While it seems easy, in thought, it takes work. Hustle. Motivation. Passion. Most people don’t push through. Jon shares a ton of wisdom on how to make that push and to keep going. He also breaks some powerful misconceptions that have been around for decades about the journey to awesome. 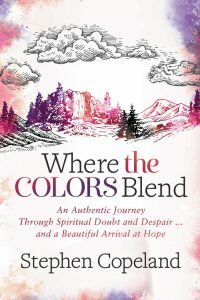 If you are looking to escape the average and begin your journey to awesome, pick up this book. You won’t regret it. I have followed charity: water for the last ten years – pretty closely in 2008-2010 during my years in college. I was always intrigued by the way that charity: water did things, even back then. I had the privilege of attending a smaller, private Christian college, and charity work/non-profits was a common discussion. Through that time, though, I learned the ‘normal’ way that charities worked. It was during this time, that I met charity: water – and I knew something was different. For different reasons, I became disconnected from them since around 2011. Life happened. 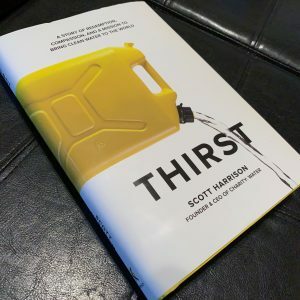 When Scott Harrison’s book, Thirst, came out, I knew I wanted to read it. And I am so glad that I did. Scott has a way of telling stories that will keep you intrigued and engrossed in the book until you complete it. He is authentic. He told it as it was – and how it all actually happened over the last 12 years. 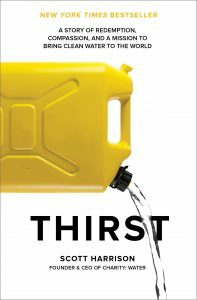 Thirst has powerful stories of the journey of charity: water and the impact they are making around the world. Scott, and charity: water, are amazing examples of how God can use everyone to strike at poverty and sin in this world, and make an incredible difference. Thank you, Scott, for this book. Thank you for sharing the details, the ups, the downs, the struggles, and the wins of the journey with us. And, thank you for being ‘different’ with charity: water and changing the landscape of charity work. 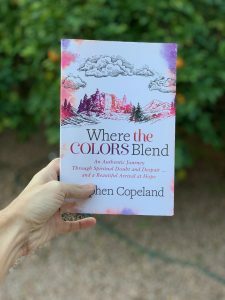 I highly recommend grabbing a copy. 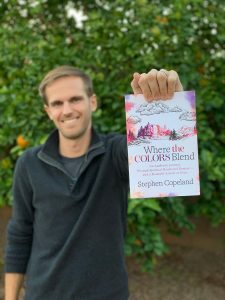 Click here to buy the book. Since receiving and reviewing my Apple AirPods a couple months ago, I have had the opportunity to play around with accessories specifically for the AirPods. 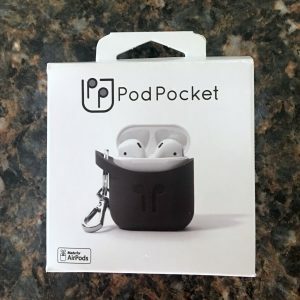 Shortly after getting my AirPods, I was contacted by PodPocket asking if I wanted to try out their product. Of course! And they arrived just in time. My summer was filled with a lot of travel, and these turned out to come in handy. 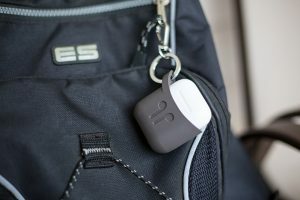 The PodPocket is a holder that can attach to any loop as a handy little carrier for your AirPods case. As you can see in the picture, I connected my PodPocket to my backpack for easy transportation and access this summer. At first, I was a little skeptical. The AirPods are expensive, and I did not want to lose them by the case slipping out of a carrier that is dangling around on my backpack. However, I was quickly impressed. The PodPocket is a rubber case that tightly grips the AirPod case. It takes some energy to slide the case into the PodPocket, reassuring the safety of the AirPods. The rubber PodPocket is built for easy opening of the AirPods case, allowing smooth access to the AirPods inside. The bottom of the PodPocket has a large enough hole to charge the AirPod case without having to unclip the PodPocket from my backpack. Overall, I would highly recommend these PodPockets. For only $19.95, how can you not try them out? Check out their website, Twitter, and Instagram. I am sure you will be highly impressed as well! Have an accessory for your AirPods that you like? Let me know! It has been just over a week since I got the Apple AirPods in hand – after enduring a 6-week wait process for them to arrive. 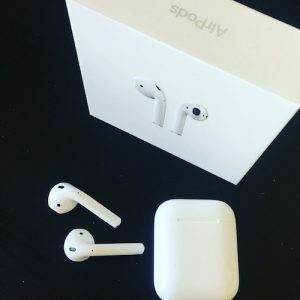 When Apple first announced the AirPods, I was immediately in love with the look and idea behind them, but withdrawn by the associated price tag on them of $159.00. As my birthday gift, though, I got a pair ordered and proceeded to the waiting period. After pretty much forgetting about them, they arrived at the doorstep last week, and I was enamored the second I opened the case. I have now used them daily for a week. Through that, I have experienced both pros and cons. They are beautiful. Just like all Apple products. They easily and quickly connect to my Apple devices. Popping the case open the first time, the screen on my iPhone immediately responded with the battery levels of both the ear pieces and the portable case. Both the ear pieces and the portable case have batteries – extending the overall battery life of the units. Once the ear pieces begin to get low, I just pop them back into the case, while still out and about, and the ear pieces return to a full charge within minutes. The earbuds do not turn on until they make contact with my ear, introducing a great way to save battery. They have incredible range. I can wear these while my phone is in the back corner of the house and easily navigate to any point of our house or yard without interruption. The batteries on the earbuds themselves don’t last incredibly long. I can get about two hours out of the earbuds, at most, before I need to plug them back into the case. I jump between my laptop and my iPhone a lot. They don’t like that, and it is not a quick/easy jump to change the connection over. It is not quick or easy to connect to my AirPods before accepting a call if the connection did not exist prior to the call coming in. This results in fumbling around while trying to entertain a conversation to get my AirPods connected to my phone, to continue the call wirelessly. There is no way of seeing the battery level of the portable case without my laptop or phone nearby. There is no indicator on the case. From my laptop, I can only see the battery level of the earbuds themselves, not the portable case (that I have found, at least). All that said, I still love these AirPods, and would recommend them to anyone! They are great for people who move around a lot. For me, I am self-employed and work from coffee shops and my home office, jumping around multiple times every day. I also take them running throughout the week – and they hold up great! You can always grab a pay of these over at Apple, but I recently found them here as well. Having a beautiful website is amazing, but sometimes it affects the overall speed of your website. This can be detrimental to the effectiveness of your website. Skilled recently pulled together 12 case studies to show how speed affects user interactions on your website, and created this very helpful inforgraphic. Take a look below and let me know what you think. I would be glad to help you analyze the speed of your current website and come up with a gameplan to speed it up! Just shoot me a note today.